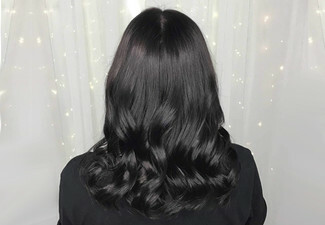 Get an EDGY new look for your hair when you treat yourself to a luxury salon experience at EDGE Cut Colour & Beauty at Sylvia Park. Complete your new look with a cut, conditioning treatment and GHD finish – you won't recognise yourself when you're done. Your talented stylist is completely in-the-know with all the latest colour trends, so you can trust them to create something amazing for you. Valid Monday through to Friday. 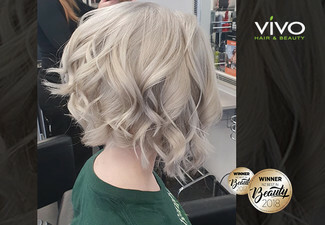 Grab a luxury hair cut and colour package including half head of foils or full colour with conditioning treatment, scalp massage, style cut and GHD finish for $99 at Edge Cut Colour & Beauty. EDGE Cut Colour & Beauty offer the total luxury salon experience for men, women and children. Their team of highly trained professionals are dedicated to their art and take part in regular training sessions to keep up-to-date on the latest trends that'll give their customers the edge. As well as top talent, your tresses will also be treated to only the best Schwarzkopf Professional product range. Don't forget, there's more to EDGE then shampooing and snipping. Their list of beauty services includes everything from facials and massages to waxing, so you can get everything you need to make you look and feel great in one amazing place. Bookings essential. Subject to availability. Valid for Auckland location only. Coupon can be redeemed Monday to Friday only. Foils may be highlights or low lights. 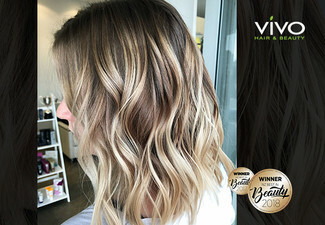 This is not a dip dye, balayage or an ombre deal. If your hair is past your shoulders in length there may be extra colour charges based on your hair thickness & length, enquire with merchant. Excludes the cost of a toner if required. Must be used in 1 visit by 1 person. Beauty voucher can only be put towards beauty services. 48-hour cancellation policy applies or coupon is void. Not valid on public holidays. No refunds unless required by law. No cashback. Not to be used with any other offer.